No Gym? No Problem! This Dad Uses His Daughters As Weights! You are here: Home / For Moms & Parents / video / No Gym? No Problem! 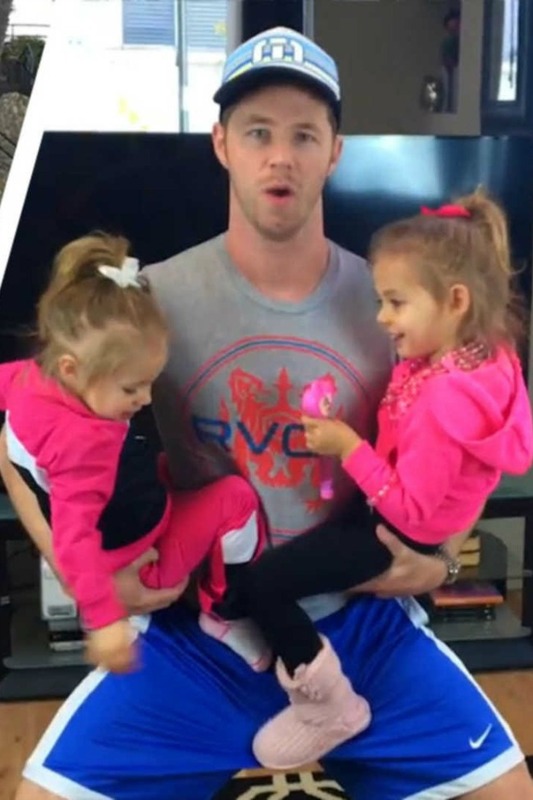 This Dad Uses His Daughters As Weights! This whole New Year/ New Me thing is great. The idea that we collectively pick one day each year to reflect on our lives and figure out what we’d like to change about them. That we look back on what isn’t working and decide we’re going to find things that Will work. New Year/ New Me is fantastic, but for some of us it’s slightly flawed. We might want to rush out to the store and buy all organic, but what if we can’t? Or we might think, “Let’s go get that gym membership finally,” but then we look around at our kids and know it isn’t practical. For a stay-at-home mom to go to the gym, she’s not only got to get her own gym bag ready, but also figure out what the kids are going to need for that hour or two. And what if one of them has the sniffles? They Always have the sniffles. I can’t remember the last time Someone in my house didn’t have snot dripping down their face. That’s okay, though, because where there’s a will, there is Always a way. Take a look! This dad wanted to work out, but instead of going to a gym, he decided to make his kids part of his routine. He gets to become the New Year/ New Him he wants to be, and the kids look like they’re having the time of their life. Good job, dad!